It's clear that Apple AirDrop feature first introduced on iOS 7 is one of the most admired functions implemented into it. Previously, it was introduced first on Mac OS X but now it's luckily available on Apple's mobile platform. That feature is known for AirDrop that uses Wi-Fi ad-hoc which allows users to go beyond the maximum speed of Data Transfer on their devices by going through the simplest steps. If you want learn more about that feature, you can read my article explaining what is AirDrop and how does it work, just in advance. How to Use AirDrop for File Transferring? First, please make sure to turn on both Wi-Fi and Bluetooth on your device, then follow that example to activate AirDrop to send from (Photos App) or any integrated file management application. To do this, you will have to swipe up from the bottom of your iDevice under the dock. 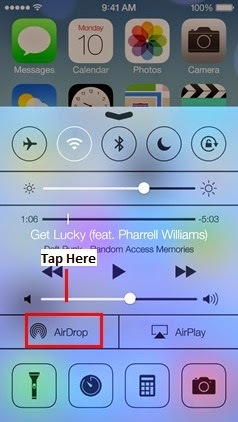 Then, the Control Center window will appear for you along with the AirDrop option, just tap on it. 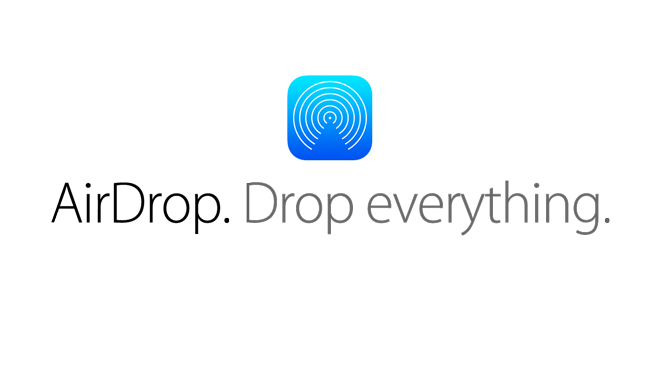 Now you have airdrop turned on, what is next? I guess you have to open an app that's supporting this feature and you will know how to share the content in the next step. Now, navigate the application that you want its files or media to be shared with your friends, you can share content from apps such as Photos, Safari, Contacts, iBooks and many more. Lets assume you want to send a photo to your friend. Go the Photo App and tap share or the share icon depending on the app itself, just make sure to choose AirDrop as the sharing method, then select the content you want to send. Click on the name of your nearby friend or the device. Please note that if you enabled airdrop with Contact Only and you can't find a the nearby device, check that both of devices are signed in to the iCloud account. If you still can't find a nearby device, try setting AirDrop to Everyone. Finally, the target device will receive a notification with a preview of the content you sent it, and they either accept or decline the request. So, just click accept and wait for the file to be transferred, I guess that's all folks. 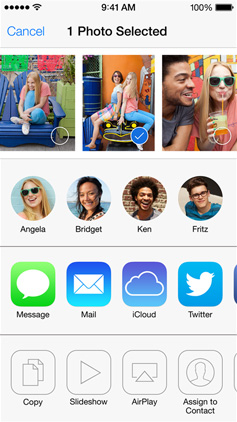 Where Does Airdrop Save Sent Files? If you accept the file on the other device, then you will get the content saved in the same app you sent it from on the first device. For example, photos will be saved in the Photos app and websites will open in Safari. For further explanation, you can take a look at my article about where does AirDrop save received files. 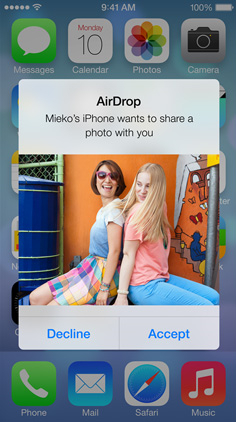 What do you think about Apple AirDrop feature? Is it functional after all? I will be happy to hear your opinion, do not hesitate to share your thoughts with us in the section below.